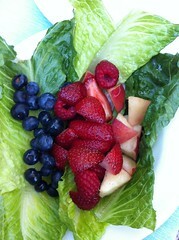 And #july4th salad. Celebrating with fresh fruit. And #july4th salad. Celebrating with fresh fruit., a photo by pahlkadot on Flickr.